Only 400 made. 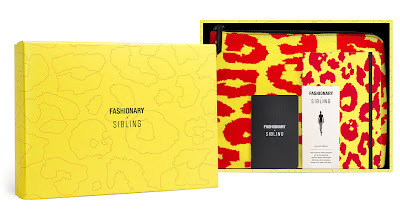 Fashionary and Sibling have teamed up for a great fall collection on 400 limited collector’s boxsets. 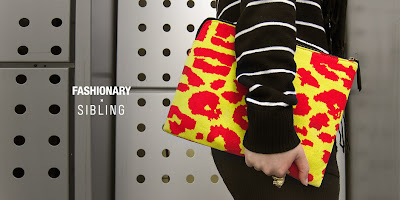 This special edition includes: a knitted iPad pouch + Fashionary + mini knitwear handbook. 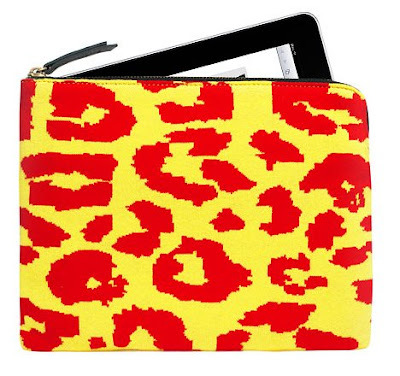 The knitted iPad pouch are patterned with Sibling's signature red & lemon leopard print with skull graphic. We are happy to present this limited box set together with Sibling, the London knitwear guru. 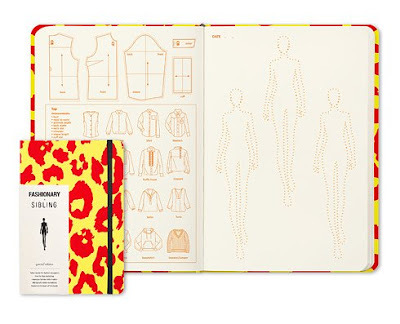 Bring your iPad together with the Fashionary sketchbook! The pouch is made of top quality cotton yarn and faux leather lining which is comfortable to carry with and at the same time provide sufficient protection to your iPad. 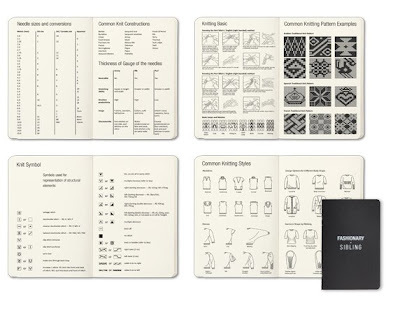 - 130 pages, 400 templates for instant sketching. What make the book special is that the templates are barely visible and can be used as blank pages. 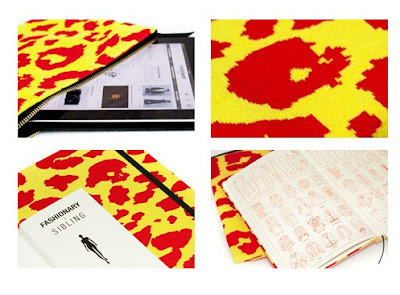 SIBLING launched on May 29th 2008 born out of a desire to give knitwear for men a good old fashioned shake with cartoon pows of colour and bams of humour. The premier collection included bright and playful subversions of classic knitwear styles such as cashmere Twinsets in sequin leopard and sparkling Bretons. Today, the leopard motifs, Breton stripes and that-particular-shade-of-SIBLING-pink have gone beyond aesthetics, becoming integral to the label’s DNA. Knit house signatures, if you will. With SISTER by SIBLING they offer the same integrity and spirit to women. A collaboration between Joe Bates, Sid Bryan and Cozette McCreery, SIBLING is all for one and one for all. 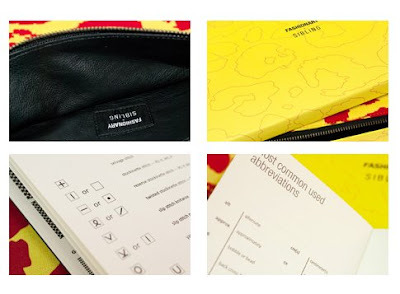 The three bringing with them a strong heritage of experience with top name designers. Sibling's Knitted Skull and matching Skeleton leggings from Collection 2 are part of the permanent collection at the Metropolitan Museum of Art, New York. Their famous Knit Monster recently took the cover of the book Doppelganger published by Gestalen and is now traveling as part of the Wool Modern exhibition. Panda s Rock! and their work with artists Noble & Webster have put smiles on everyone’s faces.